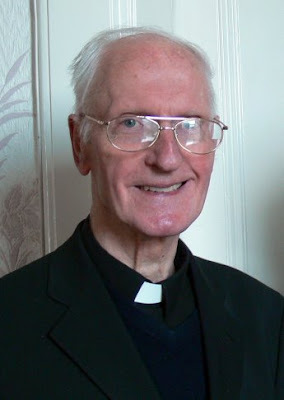 Bishop Thomas Flynn, who steps down shortly as the country’s longest serving bishop, has said he hopes to travel more when he leaves his post as bishop of Achonry. And Dr Flynn said that while he will be available to help out his successor Monsignor Brendan Kelly, he thinks it is important not to overshadow his successor. In a wide ranging interview with The Roscommon Herald newspaper, the bishop cited his involvement in the preparation of the Education Act in 1998 and the establishment of the Hope House addiction centre as the two achievements with which he is most proud to be associated. He also said he enjoyed his thirty years as bishop but admitted that, looking back, there were “things he might have done differently but for one reason or another didn’t do”. But he said that while he would be reflecting on the past thirty years, he would not be writing his memoirs. “I want to disappear from the scene quietly, in the hope that in my life I have been helpful to a few people,” he remarked. Dr Flynn revealed that he toyed with the idea of training to be a doctor when he left school in St Nathy’s College, Ballaghaderreen. “In the last year, I was undecided and had applied for medicine and was accepted in Cork,” he recalled. “But the option was there and I came to a decision to go to Maynooth”. He did this even though it meant paying fees at Maynooth and he was effectively turning down an offer of a scholarship which he had been awarded to take medicine at UCC. Bishop Flynn said the thirteen years he spent early in his career working in his old alma mater, St Nathy’s, was a “pleasant experience”. “I enjoyed it very much, the teaching and the football and I got on well with the students,” he said. The call from the apostolic nuncio to succeed Bishop Fergus as bishop of Achonry was a surprise but he accepted immediately. “It was a done deal, appointments are made before you are notified, so if you don’t accept, you are in effect resigning,” he remarked.